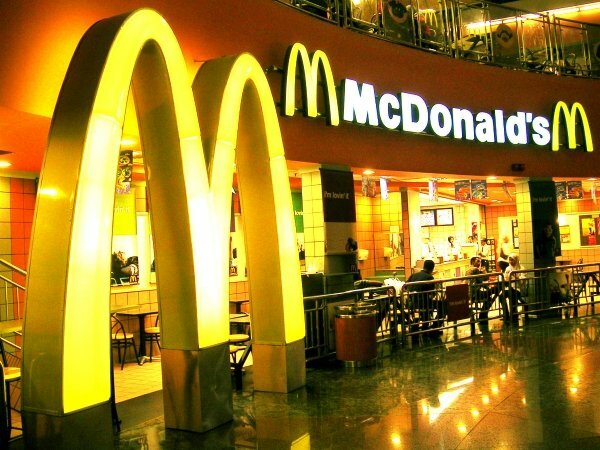 You are at:Home»Travel Tips»5 Ways To Avoid the Fast Food Trap! Being the father of several pre-schoolers, the trap of getting a fast food meal is pretty tempting when taking a trip. The food is relatively cheap, I don’t have to pack anything, and the kids aren’t going to argue about eating chicken nuggets, fries, or the occasional cheeseburger. That’s especially tempting when the trip is longer than an afternoon. Stop, grab dinner, stop 10 minutes later for the unscheduled potty stop that you know is going to happen, and then you’re on your way! I started looking at the average calories and sodium intake that a fast food meal has one day and figured there had to be healthier options that wouldn’t cost me much in time. Without further ado, here are the ways that I’ve discovered help our family beat the fast food trap. #1. A simple stop at the grocery store. I’m a stats guy at heart and I figured out that my average stop for a fast food meal in a drive thru was about 10 minutes. If we stopped to eat at the place, it was going to take 45 minutes minimum for our family. On a whim, I timed out how long it would be to head over to the grocery store, purchase a semi-ready made meal, and included the typical bathroom stops that 4 toddlers require. My findings? 20 minutes total to get food, hit the bathroom, and start eating in the van. Calories? About equal, though sometimes much lower if we went for a sandwich instead of, say, fried chicken. Sodium content? WOW – much better. Every Chicken McNugget, for example, contains 111mg of sodium. 5 nuggets, which is what the kids normally eat, equates to 20% of their sodium intake every day. At the grocery store, we could easily halve this amount. #2. Packing the cooler with leftovers. It saves on food costs for the trip and our grocery bill because we’re reducing food waste. We don’t have to worry about finding a town that has a place to eat that accommodates food allergies – we have a soy allergy in the house and a lactose intolerance issue. But what about being able to heat up your food? You know, that propane stove that you take on a camping trip… No – I kid. We use the microwaves that are at the typical gas station. We pack our food in microwave-safe dishes, stick them in at the convenience store while we get gas, and usually get a few nods of approval from the truckers who are buying a corn dog or one of those instant frozen burgers. Our pro tip if you try this: remember to bring plates and silverware. Shepherd’s Pie without plates or silverware is not an experience you want to repeat. Trust me. #3. Do some cooking yourself. One of the things that I’ve taken the habit of doing on occasion is asking if the back of the house might need a little help in the kitchen. Now I’m not a professional cook by any sort – I learned how to cook by watching reruns of the original Iron Chef – but most diners and dives are running a person or two short. If there isn’t a spot where cooking is required, there’s generally an extra slot on the waitstaff that could be filled. Rather than take tips, we work for food in return, give any tips to the waitstaff, and enjoy a decent almost home-cooked meal. Another fact about modern business these days is that there are incubation centers dotting the world that have installed commercial kitchens for the start-up entrepreneur. Renting space in the kitchen is only a few bucks, you can grab some groceries at the local store, and chat up the lady next to you that is canning her great-grandmother’s recipe for bread-and-butter pickles. It’s a great way to get food you know you can eat, meet some of the local folks, and sometimes get amazing food from those who are sharing your time slot. #4. You can’t go wrong with trying a local soup… usually, anyway. Sometimes you just can’t get around a stop at a restaurant and for whatever reason [I blame the beard] they think you’ll scare their customers away. This is when we tend to order from the soup menu because if there’s one thing we’ve learned from multiple cross-country road trips, soup sits a lot better between rest areas than meatloaf does. This is especially so for the youth in the van! The problem with soup, however, is that many places tend to make it in the morning and then let it sit all day. For chili, that’s a good thing. For tortilla soup… meh, not so much. Broccoli and cheese? Don’t do it unless you get it fresh or not from the can that the chef just opened. #5. Meal sharing is an incredible way to try new foods and meet new people. I’m not the most social guy around and the thought of sharing something with a stranger makes my skin crawl. Yet my desire for good food outweighs the creepy-crawliness of a stranger’s home and that’s why I love the concept of meal sharing. Imagine being able to just point to a map and be able to find a place where you can eat real food instead of the deep frozen stuff that gets reheated at a fast food place… yeah. That’s what Meal Sharing provides you with their website. If there’s something that brings the universe together, it’s good food. A good meal can heal old wounds, stop arguments, and repair friendships like nothing else. Avoiding the fast food trap might mean a little extra time is given up for food on a trip, but the rewards are great if you’re willing to give it a try. Do you have ways that you avoid eating fast food on road trips? Share with us below!